Overview - A nice rest in a state mental hospital beats a stretch in the pen, right? Randle P. McMurphy (Jack Nicholas), a free-spirited con with lightning in his veins & glib on his tongue, fakes insanity & moves in with what he calls the "nuts." Immediately, his contagious sense of disorder runs up against numbing routine. No way should guys pickled on sedatives shuffle around in bathrobes when the World Series is on. This means war! On one side is McMurphy. On the other is soft-spoken Nurse Ratched (Louise Fletcher), among the most coldly monstrous villians in film history. At stake is the fate of every patient on the ward. Given the current political climate, it seems oddly fitting — serendipitous, even — that 'One Flew Over the Cuckoo's Nest' would see another home video release for its 35th anniversary. Then again, the story's themes and allusions are such universal subjects that the film will always attract audiences within any given zeitgeist. Today, most of the arguing and bickering polluting the airwaves and creating hostile tensions revolve around conflicting ideas about the nation. One side pushes a conservative point of view while espousing self-reliance, but actually enforces conformity and obedience. The other seeks a humanistic and progressive approach, believing tolerance and change as the best, altruistic remedy for a happy, autonomous individual. Funnily, this is at the core of the film's plot, the crux of the epic battle between Nurse Ratched (Louise Fletcher) and R.P. 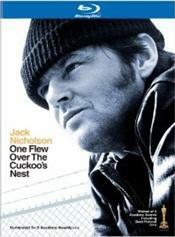 McMurphy (Jack Nicholson). Caught in the middle are the patients of a mental ward, who are, much like ourselves, listening to the endless rhetoric and being driven mad. Based on the 1962 novel by Ken Kesey, 'Cuckoo's Nest' is not strictly a political film per se (nor is the novel, for that matter), but the story captures and speaks to familiar political ideologies, displaying two opposing thoughts with little chance or effort for generating a middle ground, of achieving a happy median that could benefit everyone equally. And despite some significant changes, most notably the Chief's narration, Miloš Forman's adaptation retains what is most at stake within the original story. Put simply, the innate desire of the human spirit for freedom and happiness. So as to avoid working in a prison farm, McMurphy pretends mental illness and is transferred to a psychiatric hospital for evaluation. Expecting to sit back and relax for the remainder of his sentence, he is shocked to find an austere and oppressive environment. This is where the genius of Nicholson's performance is revealed, deserving of the accolade he's received ever since. The character starts as a confrontational and selfish individual with little concern for others around him. He does things for his own personal amusement, such as teaching the other men to play Blackjack or gamble away their cigarettes. But as he spends more time with them, he begins to like them and forms a special bond with Billy (Brad Dourif of 'Child's Play' and 'Deadwood'). When a simple vote to watch a baseball game manifests a fear to authoritarian control and change, something else develops inside him, and he uses his subversive personality in teaching the patients to live the liberated life they're too afraid to accept on their own. Sitting directly across from McMurphy during the vote, as well as every session of group therapy, is one of the scariest villains ever put to celluloid: Nurse Ratched. This is not due to any particular behavior trait or a specific act done to a patient, but for what she represents. And Fletcher is astounding in the role, walking an extraordinary tightrope as the embodiment of institutionalized discipline. She could just as easily have portrayed the character as a cruel and vile person. But instead, Fletcher provides the nurse with a great deal of humanity and history. We can almost imagine the woman with a past that hurt her so badly her position of authority offers a sense of control, an individual who doesn't know she's the instrument of disciplinary control. She truly believes she's helping the patients. But we can see a pain writhing beneath her stern face and those eyes which are on the verge of tears every time McMurphy challenges her. In her view, he embodies the sort of impetuous rebellion and carnal abandon that must be identified, fixed, and repressed. Maybe, his type is the cause of her pain. And Fletcher is absolutely brilliant in her portrayal. Thus, McMurphy and Nurse Ratched are two forces on opposite ends of the spectrum, each vying for and exerting their influence on the patients, most of whom are there voluntarily. And after two hours of the narrative building and intensifying, the ending comes as a powerful, heartbreaking shock of reality, a comic tragedy reminding both protagonists of the consequences to their power struggle. It even costs them their most powerful weapons — Ratched, the power of her voice to dominate and manipulate; McMurphy, his impulsiveness and ability to think for himself. But the damage has already been done because through his relationship with the patients, McMurphy has moved from protagonist to unexpected hero, an involuntary and reluctant Christ-figure to a stifling, sterilized mechanization of modern society. Miloš Forman does a superb job behind the camera, keeping us as close as possible to the characters while also showing some restraint and distance. He allows for the drama to develop naturally from within the conflict of the two leads and their relationship with others. After 35 years, 'One Flew Over the Cuckoo's Nest' remains just as relevant and effective today as it was when it originally premiered. It's a story with a universal theme that will continue to speak to us about the human spirit for many more decades to come. 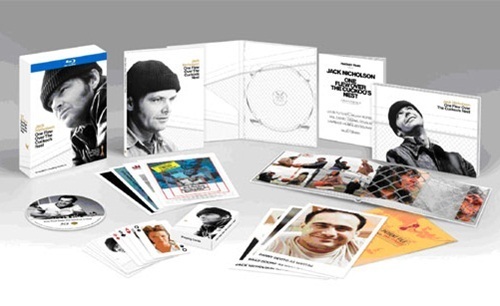 In 2008, 'One Flew Over the Cuckoo's Nest' came to Blu-ray as a DigiBook package. For this double-dip, Warner Home Video brings the classic Academy Award-winning drama as a "Collector's Edition" loaded with many collectible items, and the box-set is the same size as a standard DVD case. The BD50, Region Free disc is housed in a separate cardboard book and accompanied by a ten-page booklet with newspaper clips surrounding the film and four postcards of vintage European posters. At startup, the disc goes directly to the main menu with the standard selection of options and a still photo of McMurphy. The rest of the package comes with a 52-page, hardcover book, featuring an exhaustive essay by Charles Kiselyak, director of the terrific documentary 'Completely Cuckoo.' He covers everything from production, script and casting to post-production, the film's critical reception and wonderful insights on the plot. The book also includes a fold-out timeline noting significant dates about the novel and film, and it concludes with a chapter on biographies of the cast and crew. There's also a manila envelope entitled "Patient File" with six glossy postcards of the cast. Topping things off is a full deck of playing cards with photos of central characters replacing the face cards and McMurphy as the aces. Too bad it's not the same deck McMurphy walks around with in the movie. 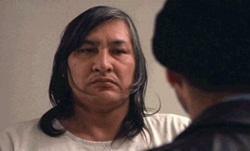 Like so many other classic movies, 'One Flew Over the Cuckoo's Nest' has been released on every home video format available since its theatrical run — including Betamax and Selectavision CED. In 1997, Warner Home Video brought the film to DVD with a tolerable presentation in a barebones snap-case (it was mostly cool just to own it on an optical disc the same size as a CD). Five years later, the studio remastered and re-released it for a two-disc special edition DVD, which showed a clear improvement. For its Blu-ray debut two years ago, the award-winning drama was given the DigiBook treatment with strong but not smashing results, likely due to using the same master. In this Collector's Edition of 'Cuckoo's Nest,' Warner utilizes the same 1080p/VC-1 encode (1.85:1). This is not altogether a bad thing, but the film is not the sort of material to impress anyone either. Despite the obvious application of some digital tools to clean up the picture, it never becomes a distraction and the video still shows a thin layer of grain throughout. Contrast is somewhat flat and dreary, which is intentional for generating a gloomy and uninspired atmosphere, but whites are brilliant and crisp. Black levels are not affected by this and remain deeply rendered for the most part. In keeping with the deliberate photography, the color palette is greatly limited but accurate nonetheless, with primaries being the only moments of vibrancy. Facial complexions display natural tones with good definition in close-ups. Details and shadow delineation are much more appreciated here than in previous releases, but it's not a significant upgrade from the 2002 special edition DVD. And it also comes with many moments of softness that can interrupt the transfer's better aspects. 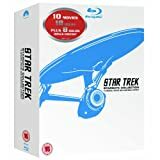 All things considered, however, this Blu-ray release is by far the best the 70s classic has ever looked on any available home video format, and fans are sure to be happy. It's a good-looking film from 1975. As with the video, so too the audio. Warner duplicates the same legacy Dolby Digital soundtrack found on the previous release for this double-dip. It's fine that the studio cleaned up the original design into a nice six-channel mix, but seeing as how this box-set is dubbed the Collector's Edition, the lack of a lossless mono option is rather disappointing. Nonetheless, the track delivers exactly what's expected of it for a 35-year-old film driven purely by character interaction. Dialogue reproduction is very well-prioritized and clearly intelligible although there's next to zero low bass. Dynamic range is stable and clean but nothing extensive. Since discrete effects are absent in the presentation, Jack Nitzsche's score is the only aspect which opens up the soundstage and gives the film a sense of presence. While a high-res codec would have been preferred, the legacy audio mix offered here is not completely awful and gets the job done reasonably well. For this Collector's Edition of 'Cuckoo's Nest,' Warner Home Video offers the same bonus features found on previous releases and includes for the first time the full-length documentary only seen on the Limited Edition laserdisc. The entire package is also the same assortment of supplements and goodies seen on the day-and-date DVD box-set. Audio Commentary — Pieced together from comments recorded separately, producers Saul Zaentz and Michael Douglas with director Miloš Forman provide a very good and thorough track. Although there are moments of scene-specific comments, the audio is mostly centered on a historical background, covering alterations made from the novel and the unique input from cast and crew which helped to better shape the film. Much of the information divulged here can also be found in the extensive documentary filmed twenty years later (see below), but this audio track is still worth a listen for any fan or newcomer. Documentary: 'Completely Cuckoo' (SD, 86 min) — Directed by Charles Kiselyak, the in-depth documentary is a terrific accompaniment to the film. Featuring a rare interview with Ken Kesey, the comprehensive film starts with the story's genesis and the author's personal experience working at a mental institution. Then it traces how the novel was translated into a stage play with the strong support of Kirk Douglas and how eventually planted the seed for a screen adaptation. But it wasn't until Michael Douglas came along and finally turned into a reality for his first film as producer. With behind-the-scenes footage and clips from the film, the remainder of the doc follows casting decisions, production, shooting in a real state hospital located in Salem, Oregon and the movie's unexpected award-winning success. For any fan of 'Cuckoo's Nest,' this is a must-watch that offers excellent, insightful comments about the characters and the plot's themes. It's a marvel that the doc has turned out so good without Jack Nicholson's participation. Featurette: "Asylum: An Empty Nest for the Mentally Ill?" (HD, 31 min) — This short segment is a look at the significant changes made to providing help and treatment for the mentally ill since the film's release. Most saddening and even frustrating is the move from medical care and therapy to the criminalization of individuals with irrational behavior issues. The piece comes with current interviews of Dr. Dean R. Brooks, his daughter with a medical background, and Michael Douglas. Deleted Scenes (SD, 15 min) — This is a great collection of eight scenes which unfortunately didn't make it to the final cut. Their inclusion or removal don't affect the film in any damaging way, but for those who love this film, the scenes reveal more about the treatment the patients were receiving. This is a rare occasion to recommend an assortment of deleted scenes. Trailer (SD)—The original theatrical preview rounds out the package. 'One Flew Over the Cuckoo's Nest' is a timeless classic from Miloš Forman with universal themes about an innate, deep-rooted desire within us all. The 1975, award-winning drama tells the tale of an epic struggle that ultimately calls to arms a battle to defeat the monotony and the institutionalized discipline of our souls. The film comes with remarkable and extraordinary performances by Jack Nicholson and Louise Fletcher. For this Collector's Edition Blu-ray, Warner Home Video delivers the same picture and audio quality of the previous release, which isn't bad, just not very impressive. The studio makes up for this with a wealth of collectible goodies and terrific assortment of supplements, especially the documentary. In terms of the entire package and the film, the Blu-ray comes highly recommended.